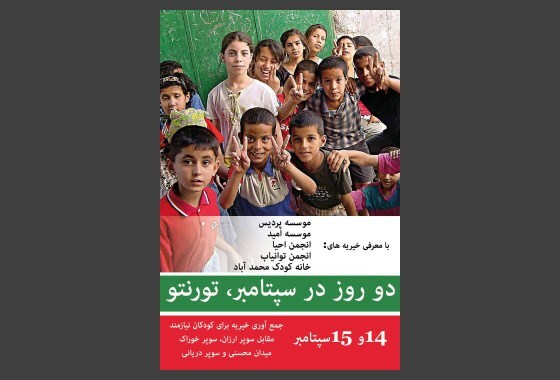 2011 – 2013 – Select content from Persian Kamangir is published by the independent Persian news and analysis website 30 Mail (Persian). November & December 2013 – Taught an online course on Mobile Security at Tavaana. The dominant trend on the Web is for tools to be simplified and for settings and the details of their functions to be hidden. A user will log into Facebook’s mobile application only once, and won’t care that their tweets and Google+ postings show their exact location. In fact, some of the functions of Web 2.0 tools (especially those on mobile phones) are appealing because that they personalize content without the user having to expend any effort. As a result, and for a variety of reasons, social and political activists use these same tools to connect with their audiences. With the help of mobile applications, this group makes itself present on social media, taking advantage of the large audiences it finds online to advance its own goals for outreach. In addition, a social activist can use the applications on their mobile phone to take photos and video, record sound, and coordinate with others. Nevertheless, it’s important to keep in mind that a social activist and the average user have very different needs when it comes to these applications. Whereas the average user prefers convenience over the protection of their privacy, a social activist who unsuspectingly allows their location or their identity to be revealed can place themselves or their group in a great deal of danger. This instructional course will teach social activists how to use tools that weren’t originally made for them, as well as how to pursue their activism in environments that have been optimized for other uses. 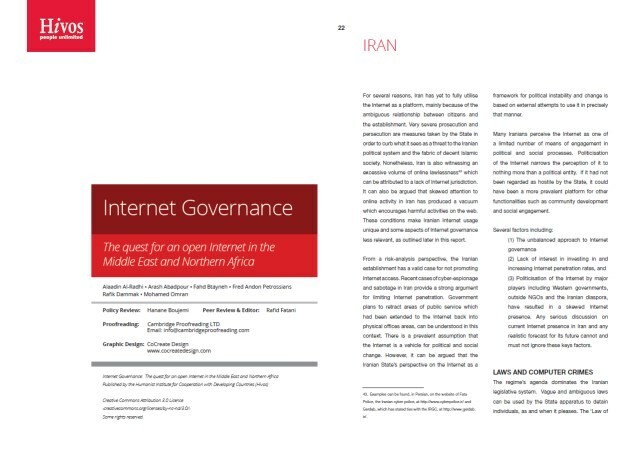 December 2013 – “NASA isn’t the Target” – wrote a piece for the online magazine Gomaneh on vandalism on the web by Iranian Internet users (Persian) (pdf, direct link). December 2013 – Attended an online panel published as a podcast by Iran Security (iransec) on the recent arrest of several Iranian bloggers (Persian). November 2013 – “What would Darwin say if he saw Facebook?“, wrote a piece for the online magazine Tableau (Persian) (pdf). 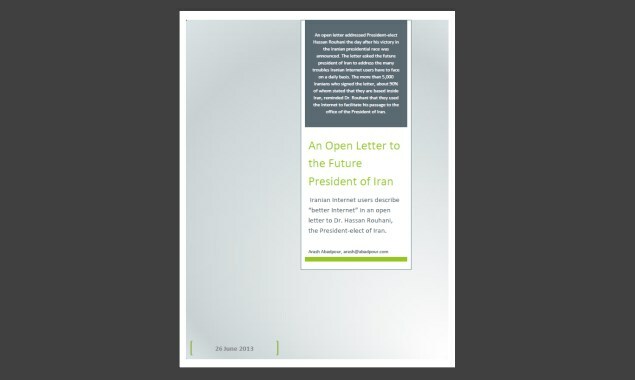 November 2013 – Signed open letter published by Centre for Supporters of Human Rights titled “Tomorrow is too late“, requiring public conversation and consultation regarding the different aspects of the utilization of nuclear technologies in Iran (Persian). October 2013 – Signed an open letter requesting judicial proceedings following harassment of daughters of Mir-Hossein Moussavi, the Iranian opposition leader in house arrest (Persian). September 2013 – Was among the signatories of an open letter which supported the resolution of conflict between Iran and the West through negotiations and urged the Iranian establishment to embrace and utilize the possibility (Persian). September 2013 – Was among the organizers of the charity drive “2 Days in September” in Toronto in support of Iranian and Afghan charity organizations operational in Iran. Coverage in Toronto-based Persian publications: Shahrvand, Salam Toronto. August 2013 – Appeared on video-blogs on the topic of web and technology in the context of use in Iran for Khodnevis’s Technevis. July 2013 – Was among the signatories of an open letter that criticized the violation of children’s rights in a program on the state-run television, where an orphan child was given as a “gift” to an adopting couple (Persian). 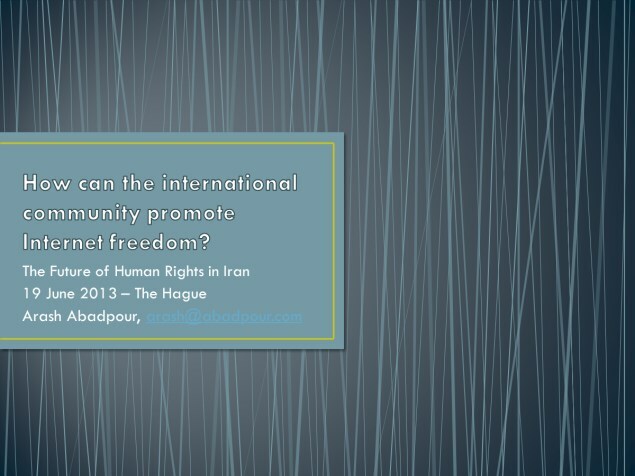 July 2013 – Was among the signatories of an open letter to Mohammad Nourizad, acknowledging his visit to a Baha’i house and asking for more attention from the community of social/political activists to the concerns of the Baha’i Iranian population (Persian). July 2013 – Instructed two two-session courses on the topics of “Statistics & Data Visualization” and Marketing and Expanding Readership at Mianeh School of Journalism in Persian. List of instructors. The Mianeh School is offered by the Iran Program at the Institute for War & Peace Reporting (IWPR). 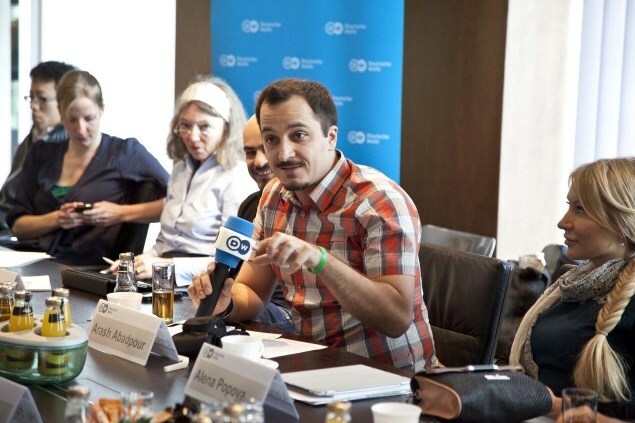 July 2013 – Trained digital security in a workshop organized by Internews in Toronto. July 2013 – Discussed the potential positive outcomes from the Iranian national email project – VOA, Your Voice (video – Persian – 26:00). June 2013 – Wrote a part of the “Iranian Speech” for Conflict Kitchen. Starts at 3:20 (video). The Iranian Speech from Jon Rubin on Vimeo. An open letter addressed President-elect Hassan Rouhani the day after his victory in the Iranian presidential race was announced. The letter asked the future president of Iran to address the many troubles Iranian Internet users have to face on a daily basis. The more than 5,000 Iranians who signed the letter, about 90% of whom stated that they are based inside Iran, reminded Dr. Rouhani that they used the Internet to facilitate his passage to the office of the President of Iran (more). 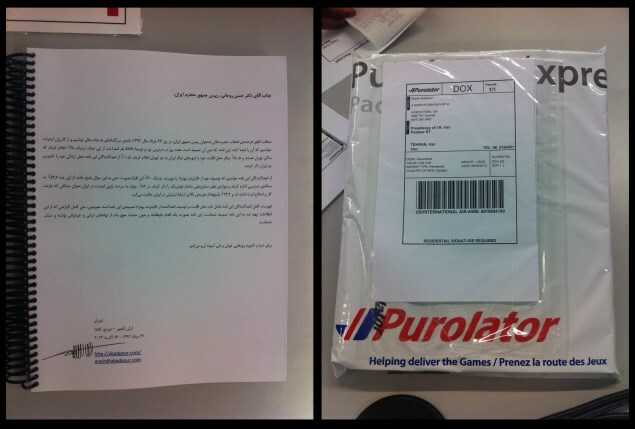 The letter was sent to the Office of the President After Hasan Rouhani’s inauguration. June 2013 – Spoke in The Future of Human Rights in Iran, held by Hivos in The Hague, through Skype (agenda, slides, transcript). June 2013 – Spoke in the third broadcast in the Global Dialogue Elections Series, June 16, 2013 (video). 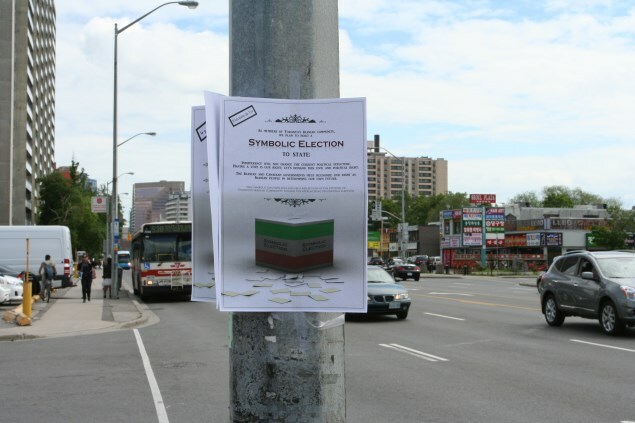 June 2013 – Was among the organizers of a three-day symbolic presidential election in Toronto (Coverage in BBC Persian, Set of photographs in BBC Persian, Coverage in Radio Farda, Toronto Sharvand newspaper, Salam Toronto newspaper). “Iranians in Canada Cast Symbolic Votes Days Before Election” from Global Voices, “Canada calls Iran election results ‘effectively meaningless“, “Voting in Iran—from Canada“. May 2013 – Attended Aljazeera’s Stream program with the topic “Is Iran going offline?” (video). May 2013 – Instructed two two-session courses on the topics of “Statistics & Data Visualization” and Marketing and Expanding Readership at Mianeh School of Journalism in Persian. List of instructors. The Mianeh School is offered by the Iran Program at the Institute for War & Peace Reporting (IWPR). May 2013 Interview with Technevis (the technology section of Khodnevis) on the current situation with the Internet in Iran and some of the suggested remedies (Persian). May 2013 – Interview with Voice of America (Persian) on Internet, Filtering, and the upcoming elections. May 2013 – Arash Abadpour on Archetypes of Iranian Internet Use, conversation with the CGCS Media Wire, the blog for Center for Global Communication Studies at the Annenberg School for Communication at the University of Pennsylvani. March 2013 – Instructed a two-session course on the topic of “Statistics & Data Visualization” at Mianeh School of Journalism in Persian. List of instructors. The Mianeh School is offered by the Iran Program at the Institute for War & Peace Reporting (IWPR). March 2013 – On the issue of Internet filtering in Iran and the recent report – Voice of America (Persian) – link. March 2013 – Online surveillance threatens Internet freedom, Interviewed by DW-World on the issue of Internet censorship in Iran and the recent RSF report. Also in Persian. 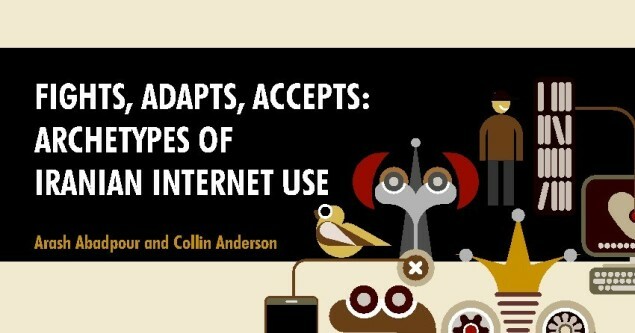 March 2013 – Arash Abadpour and Collin Anderson, “Fights, Adapts, Accepts: Archetypes of Iranian Internet Use“, Iran Media Program and Annenberg School for Communication, University of Pennsylvania (Persian translation). January 2013 – Interview with BBC Persian on the open letter to Microsoft on the security of Skype – Audio (Persian).